Rajdhani is one of those traditional food, family restaurants that serve authentic Rajasthani and Gujarati food that plays with the taste buds. Take the family out to the Rajdhani thali restaurant at Phoenix Mall kurla and have a relaxing, tummy filling time. Address: Phoenix Market City, Lal Bahadur Shastri Marg, Kamani, Ashok Nagar, Kurla, Mumbai, Maharashtra 400070 2nd floor. Also available at Rcity Ghatkopar. Prices are reasonable to pocket with extremely efficient and dedicated service.Must try in case you are looking for a perfect veg treat in. Address:Juhu Tara Rd, Airport Area, Juhu, Mumbai, Maharashtra 400047Maharashtra 400070 2nd floor. Also available at Goregaon,Powai. A place where even the non-vegetarian people will fall in love with the tasty vegetarian they serve.Delhi highway certainly gives a royal feeling from the entrance to its furniture the place is huge with comforting couch, its decor is simply amazing. Veg thali, bhalla papdi chat,sizzling mutter kulcha and jalebi rabdi. 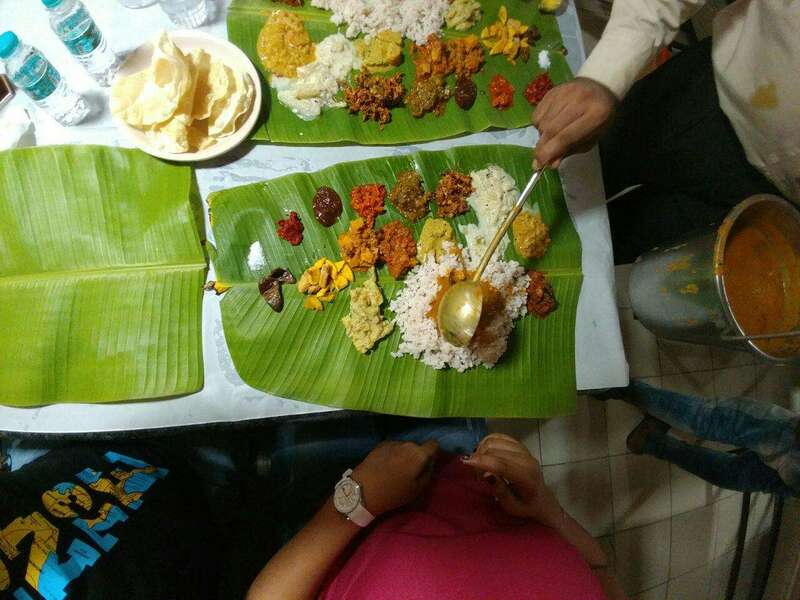 Right place for perfect south indian food on leaf.The quality of the food can be seen in the ingredients used. The best is the rasam and eat with ur hands with rasam trickling down ur fingers overall nice place to be for lunch than the regular outlets. A lovely thali place to check out options are rajasthani , gujurati or maharashtrian thalis !!! perpetual inflow of breads, varieties of rice , dals and bhajis … .a vegetarian’s delight ! and the best part – AAAMMRAAS is in season – so it was dessert !!!!!! yumm !! Menu is pretty big. Good variety for trying many stuff. Sadhya thali must try. Best combination for tasting real taste of kerala. The left side of the thali all chutney and pickles were amazingly tasty and very strong flavouring. Fish preparation was typical south Indian but was not soft and juicy. Good variety in preparation of fish. Squid rings, prawns were tasty but prawns are overpriced. Awesome seafood. The bombil fry, pepper prawns, crab in green chilli are all amazing. They do crabs without the shells too for those who don’t like fussing. Service is good, staff are extremely knowledgable on the menu and know exactly what to suggest. If you’re looking for good seafood then look no further.Fish thali is a must here. Golden Star has always been one of the most iconic places for having Gujju Thali. The spread is huge and they start of with kachori and cutlets that were yum. You have all your usual yummy Gujarati items. Notable among them were the sweet Dal, the kadhi and the Aloo Subzi. You have a choice of ghee laden chapatis and puris. They have plain rice and ghee which can be had with dal and kadhi and the combo is yum. The sweet options were delicious. They have malai sandwich which is one of my favs. Strawberry Basundi is also nice and creamy. Doodhi ka halwa is decent. The specials are the Undhiyo and Daal bati Churma which wont disappoint you. Overall a must visit place for Thali lovers. Right next to the Chowpatty, Thackers is one of the oldest place in town.It’s another Vegetarians Paradise which serves authentic Gujarati Thali with (limited) sweets and farsan. It is unlimited thali concept with good service and taste.The ambiance of the restaurant is excellent and spacious & the staff is very kind.They also serve limited dishes in Italian and North Indian. 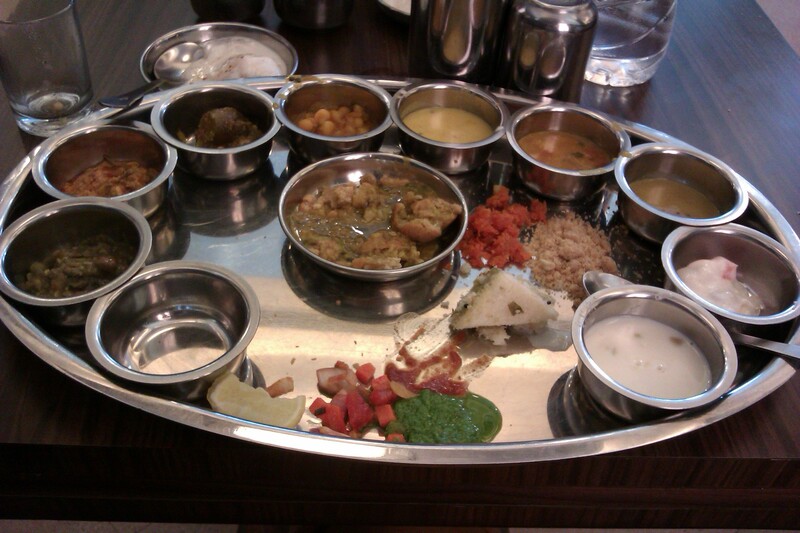 The rate of Thali is Rs.390 plus taxes per pax which would usually cost around Rs. 940 for two inclusive taxes. 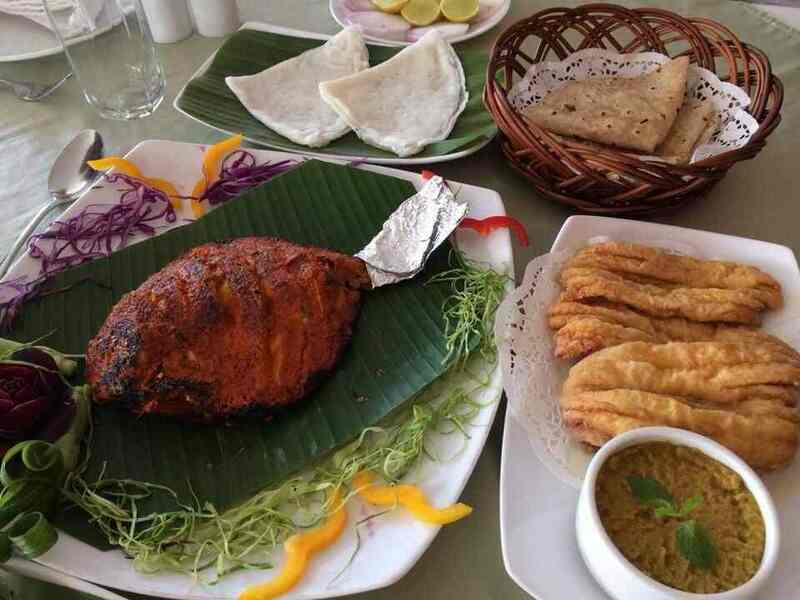 Located on the Gorai road, this place is a heaven and a saviour for sea food lovers. They have an indoor AC as well as outdoor non AC seating area. The AC section has a great touch.Comfortable seating and some good wall and ceiling art. Try reaching early on weekends as the place gets crowded and one may have to wait for a considerable time to get a table. The food here will leave you happy and content. The Surmai Thali comes with a Surmai fry, a gravy, some dried prawns chutney on the side along with bhakris and rice. The Mutton Thali consists of a mutton gravy which is quite spicy, some dry kaleji masala with rice and bhakris. Every Thali comes with a small serving of solkadi to mellow down the spicy food.The Bombil fry is a must try. Also the Prawns koliwada goes well with the Thali.For desert do try the kesar kharwas which is really yummy. The staff here is quite humble. Great place for a lovely family dinner.